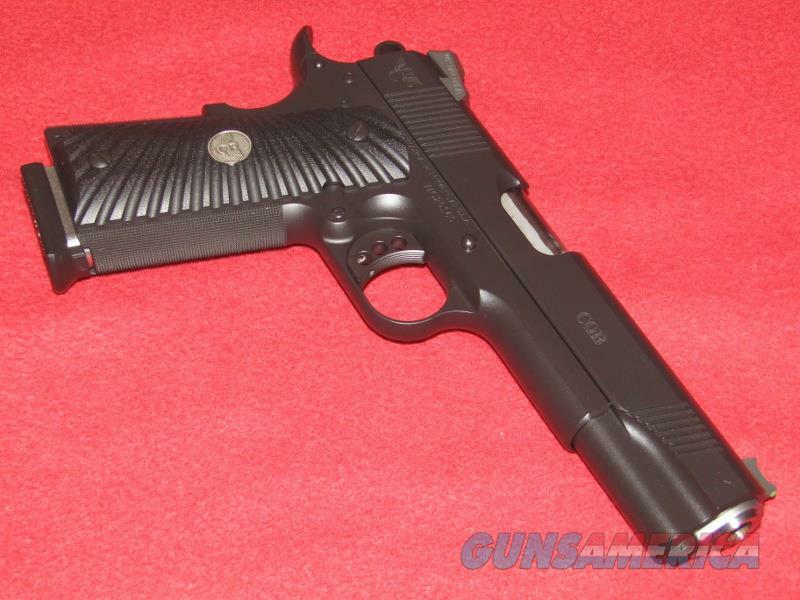 Description: Up for sale is a gently used Wilson Combat “CQB” 1911 Pistol (9mm). This item is in like new condition and has a 5” barrel, green fiber optic front sight, Black Armor Tuff finish, and black starburst grips with silver medallions. This pistol shows no signs of use outside of the factory and the finish shows no signs of scratches or wear. Comes in the soft Wilson Combat pistol case with the manual, gun lock, bushing wrench, an extra green fiber optic rod and a heavy 12.5 lb. Recoil spring.